A backyard swimming pool is a cherished feature of any home, offering a great way to beat the heat in the summer while providing a fabulous entertaining space. A swimming pool also comes great responsibility. Keeping your pool safe should be a top priority for any pool owner, and the need for a secure pool is also being driven by the legal requirements that are a part of many city ordinances. Here are 5 Benefits of having a Swimming Pool Security Fence installed by Art Fences. 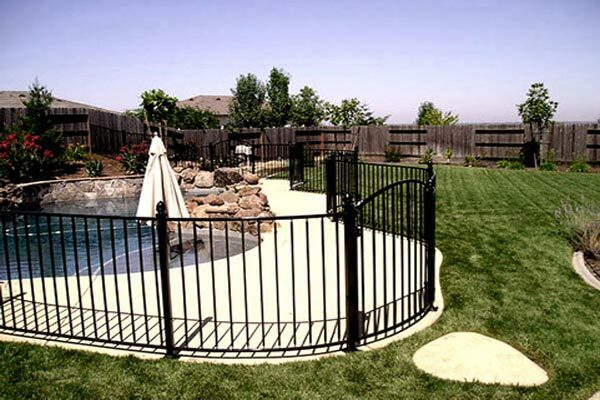 A pool security fence does not childproof or petproof your swimming pool, but it provides a great level of security and preventative measure against accidents. Children can climb over pool barriers if they are too low or have handholds to use for climbing. The U.S. Consumer Product Safety Commission (CPSC) recommends pool fences should be a minimum of 4 feet high, and fences 5 feet or higher as preferable. Be sure to include a self-closing, self-latching, lockable pool entry gate for additional safety. The Center for Disease Control (CDC) have found that drowning is the second largest cause of death for children below the age of 14, and most of these drownings occur in residential pools. The CDC also reports that having a swimming pool security fence reduces the potential of childhood drownings are reduced 83%. Pool fencing is very difficult for children to climb because they will not have any openings to place their feet on to help them over the fence. The cost of installing a swimming pool security fence will vary depending on size of pool, location, and the material used. When you consider the benefit of safeguarding your family, the purchase of a swimming pool security fence is definitely worth the investment. The endless design options and custom styles available are virtually endless and only limited by your imagination. 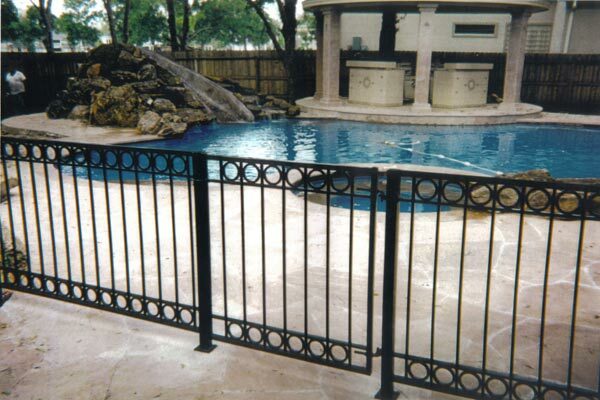 Working with our design experts can customize your swimming pool security fence into a design customized to the style and decoration of your architectural styling. When your swimming pool is not in use, you can put your mind at ease with the benefits of a swimming pool security fence from Art Fences. Self closing and self latching gates afford the peace of mind offered by the swimming pool safety fence, thwarting eager children playing or eager to try out new things. A backyard swimming pool is a place that is meant to be relaxing, fun and entertaining. Therefore it is important to protect your family, friend and pets. One of the best ways of doing this is by having a pool safety fence around the pool and making it safe for all your family members.